The year 2012 was a big one in the world of Grass or Turf as it is known professionally. 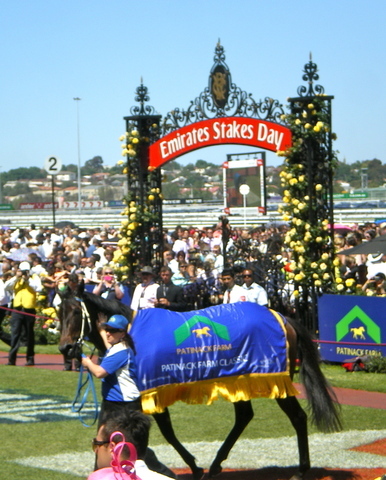 Grass is used as the playing surface for most of Australia’s popular sports including cricket, Football and Horse Racing. Australian tennis players also enjoy their game on a grass surface with the ultimate prize of Wimbledon being played on the natural green surface. Here in Victoria tennis racquets are swung on the grass courts of Geelong not far from our Torquay farm. In fact a past employee of our company and popular visitor to our production facility is still involved in the maintenance of this wonderful facility on the banks of the Barwon River. You will find grass Tennis courts in action at Kooyong, Royal South Yarra and many rural clubs. The Victorian Junior Grass Court Tennis Championships will be played in early January at the Wodonga Lawn Tennis Club. Good luck to all involved. The year saw many sporting records created on grass including Black Caviars unbroken winning streak of 22 wins from 22 starts. Black Caviar has won eleven times on turf grown and laid by Anco at Caulfield and Flemington racetracks. If she could speak I am sure she would sing the praises of our grass. And while we near the of the end of the year we congratulate the sportmen that have played on our grass and are retiring including Ricky Ponting, Australia’s highest scorer of Test Cricket runs. To the sportsmen and women and the backyard champions who have enjoyed playing on the natural, healthy, grass sporting surfaces around Victoria we wish you well in the coming season of sport. Rest assured that Anco will have the answers for keeping your patch of sports grass in top condition and we look forward to being of service in 2013. From all at Anco have a happy and safe holiday season. Anco will be closed from lunchtime on December 22 until January 2 2013.